Mount Airy City Schools and Daymark have partnered together to begin School Based Therapy to provide ease of access to mental health and substance use services for all students. 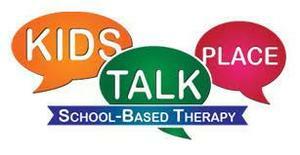 Mount Airy City Schools and Daymark have partnered together to begin School Based Therapy (SBT) in our district. We want to encourage and promote ease of access to mental health and substance use services for all students. We believe this partnership will allow just that! Daymark is a not for profit comprehensive provider of mental health and substance use services. Our core presence serves a 50-county radius in North Carolina. Our services have been able to lessen the impact of mental health and substance abuse illnesses for approximately 50,000 persons annually and also identify and address physical health concerns that need attention. What is School Based Therapy? A Master' s level, licensed therapist with Daymark provides services to students in a confidential area in your child' s school. This minimizes time out of class and/or away from school. The therapist is dually licensed and qualified to treat mental health or substance use disorders. If you feel your child may benefit from School Based Therapy, please contact your child' s guidance counselor to discuss options for services. If your child is referred to School Based Therapy by school staff, they will be contacting you to answer any additional questions you may have and to assist you with the referral process. You will also be given an opportunity to speak with Daymark staff prior to an appointment being scheduled. As the legal guardian, there will be paperwork that is required to be completed. Daymark staff will work with you to make sure this is completed before the first appointment. Daymark encourages and welcomes you to be present in all sessions. The first appointment will be an assessment that will take approximately 2 hours to complete. Following appointments will typically be l hour in duration. When will my child have appointments? Appointments will be scheduled during the school day. Every effort will be made to minimize the academic impact of missed instructional time. If later appointments are needed Daymark can likely accommodate the request. How long will my child have therapy? Treatment plans, which includes duration or services, will be discussed at the first appointment. You and your child will decide how often and for how long services are provided!